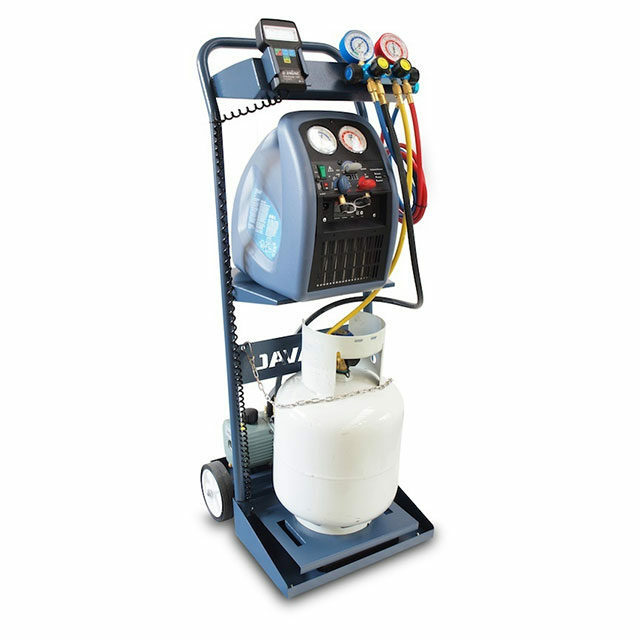 JAVAC’s AA Pack is an entry-level automotive charging station that packages high-quality refrigeration equipment with a custom trolley. With a full collection of JAVAC refrigeration tools and an ergonomic trolley, the AA is a complete, self-contained recovery and evacuation charging station. 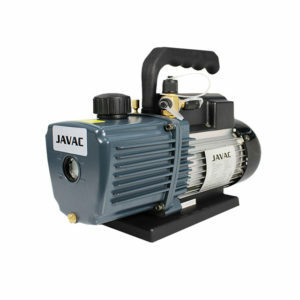 With an EVO recovery machine and a JAVAC vacuum pump, you can recover and evacuate a vehicle’s air conditioning system, using the accurate digital scale and manifold to precisely recharge the system. The custom trolley allows these components to be operated together seamlessly and carried around with ease. The AA pack is an excellent entry level automotive charging station that packages some of the industry’s best refrigeration tools in a convenient package.